Our Founder | Advocacy Group in Philadelphia | LiteracyNation, Inc.
Meet Richard, the man behind the vision of LiteracyNation, Inc.
Mr. Richard E. Ashby, Jr., is the Director of the Yeadon Public Library in Lansdowne, Pennsylvania, the Co-Founder and Director of Literacy Nation, and the President of the Black Caucus of the American Library Association. He became a librarian in order to make a difference in the lives of everyone that he meets. Librarianship has helped him reach his goals and live his dreams. His amazing journey, however, did not begin as a librarian, although his mother did tell him that he would probably become one eventually. An upcoming book, due out in Spring 2019, shares seemingly unreal vignettes from Mr. Ashby’s life. His amazing story weaves the reader through experience after experience and adventure after adventure on his arduous path to become the President of the Black Caucus of the American Library Association. 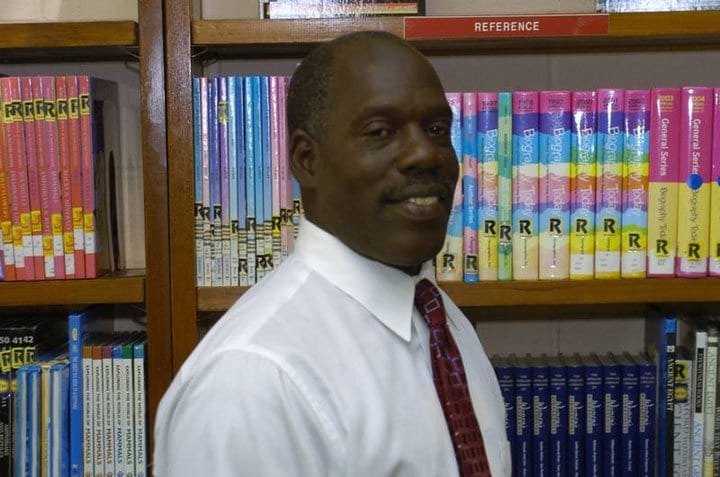 Mr. Ashby received a Bachelor of Science degree from the New York Institute of Technology, Old Westbury, NY, and a Master of Library Science degree from Queens College, Flushing, NY. He was the first African American male librarian and director in Delaware County, PA. He was the 2014 Librarian of the Year, the past president of the New York Black Librarians Caucus, and the Co-Pastor of the Church of Christian Fellowship, Upper Darby, PA. He is a Certified GED Tutor and a Certified Adult Literacy Tutor. May 1978-Present — Alpha Phi Alpha Fraternity, Inc.